“Australia” is the most expensive film ever to be shot in…well, Australia obviously. And, despite the fact that the world’s economy is in turmoil and there are people starving across the globe, I think it was money well spent. Baz Luhrmann’s epic film boasts incredible cinematography – the landscapes of Australia and widescreen shots of stampeding cattle and horses are absolutely breathtaking. Nicole Kidman is stunning in her best role yet – she manages to mix off-beat humor with emotional sincerity in her portrayal of strong yet sensitive British woman, Lady Sarah Ashley, aka “Miss Boss”. Kidman’s chemistry with Hugh Jackman is electrical – not only do the two make a physically perfect couple (hear that, Brad and Angelina? ), but their love scenes manage to be credible despite the overlying melodramatic cliché à la Luhrmann. Jackman makes a studly cowboy – I’d let him explore my outback whenever he wants, what a hunk ! The actor showed off his French-speaking flare at the Paris premiere of the film on Monday night. Jackman wowed the crowd by reading a scripted intro during which he taught the mostly Gallic audience members some Australian lingo. Nicole Kidman looked radiant as usual in a sparkly silver and black dress as she joined Jackman and director Luhrmann on stage. “Australia” brings us back to the olden days when movies told stories, made audiences laugh and cry within the same breath, and kept everyone tied to the edge of their seats. The “Wizard of Oz” mise-en-scene is a bit over-the-top (or more like over-the-rainbow), but all is forgiven as we find ourselves teary-eyed as the famous "somewhere over the rainbow" song plays in the background and we remember our childhood dreams. “Australia” is a tragedy, an adventure movie and a love story all in one (yes, there’s time for all of that – the movie runs almost 3 hours long). Luhrmann’s re-telling of Australian history is ambitious, epic and highly entertaining. And I dare you not to fall in love with Nulla, the mixed-race young hero of the film, played by the incredible young actor Brandon Walter. Though Kidman and Jackman tower above him in stature, Walter holds his own as the feisty yet emotionally unwavering half-white, half-Aborigenese boy who sings his way somewhere over the rainbow. So follow, follow, follow, follow, follow the yellow brick road….to your nearest theater to see the grandiose “Australia.” (Or if you’re in France, you’ll have to wait until the film’s release on Dec. 24th) Sure, it’s cheesy at times and some of the love scenes are completely ridiculous, but isn’t that what a movie should be? I was ready to leap out of my seat and cheer every time Kidman and Jackman reunited. I can’t remember the last time I felt that way in a theater, and I see quite a lot of movies. Thank you, Baz Luhrmann for bringing the magic back to the cinema and reminding audiences (and me) that there’s no place like … the movie theater. While the concept of gelatinous black balls hovering in my tea was a bit strange at first, I am now going bubbles over bubble tea. 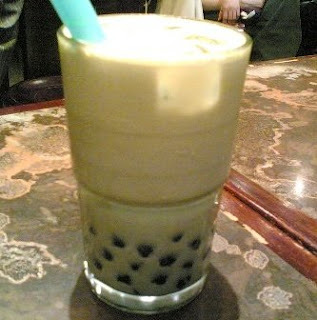 The Taiwanese delicacy features tea – hot or cold, with milk or without – with tapioca pearls, that one drinks with a large, wide straw. I discovered Bubble Tea at my new favorite Taiwanese tea room (okay, so it’s the only Taiwanese tea room I know, but it’s cool, I swear) Zen Zoo, located on the rue Chabanais in the 2nd arrondissement. Their ginger tea will clear your sinuses – it’s a powerful jolt of ginger-filled energy – and their milk teas combine delectable flavors of sesame, green tea or coconut. 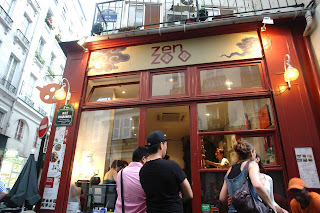 While I thought I’d discovered a little unknown hideaway, Zen Zoo gets packed late afternoon with bubble tea-loving Parisians and their take-away counter is always crowded. I’ve never tried the food there, but the dishes roaming by me on my numerous trips there smelled delicious, and sell at ostensibly affordable prices. Global economic crisis? What? You’d think they were giving away gold for free, the way people are lining up at Nespresso stores across the city. There’s no gold, but there are shiny yellow spheres on sale – that is, the new seasonal flavors of the common over-the-sales-counter drug we call Nespresso. This year’s special holiday season flavors include: mandarine orange, caramel and ginger. While I nearly spit out the mandarine orange during a taste test (read: I thought I’d sample all three scents at one time while waiting on line) (see: my heart rate has hit an all-time high), the ginger flavor is subtle yet delicious and the caramel is stronger, but wonderful. I recommend the caramel “long” with some milk and sugar for a luscious homemade caramel latté. (and, by “homemade,” I of course mean I press a button, wait a few seconds, then add a bit of milk and sugar and – voilà! My kind of homemade cooking!) 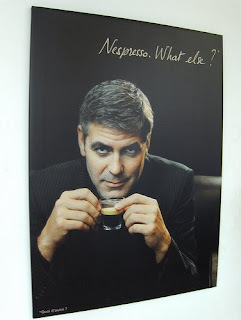 I’m still waiting for George Clooney to pop up and serve me a coffee just like in the ubiquitous advertisements, but even without George, it’s très bien. 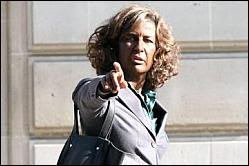 This musical comedy directed by Etienne Chatilliez stars the funniest woman in France (or shall I say the funniest FRENCH woman in France ;), Valerie Lemercier, as a racist marketing director who develops a rare skin disease that turns her skin black. The musical score, composed by Matthew Hebert, is fabulous and will have you singing about racism all night. 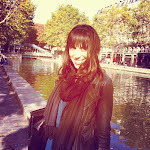 Lemercier is fantastic – who knew the girl got rhythm?? She can dance ! – and the supporting cast, wonderful too. It’s far from the movie of the year, but I’m hoping it will perform well here in Gaul – let’s hope Black don’t crack at the box office ! 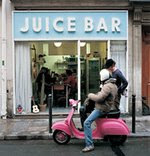 The film premiered in Paris on Sunday night complete with an after-party at Danish restaurant Flora Danica/le Copenhague. The film’s cast, including Valerie Lemercier, Isabelle Nanty and Anthony Kavanagh nibbled on salmon and sipped champagne with a view of Paris from the top of the Champs-Elysées hot spot. It was like a scene from “Goldilocks and the three French bears.” My porridge at Rose Bakery was neither too hot nor too cold, it was indeed “just right.” Only my chair was a little too small, there was no bed to sleep in, and I actually had to pay for my porridge (what a little thief that Goldilocks!). While the Rose Bakery variety is fantastic, I’ve also been making my own homemade version of porridge – in America, we call it oatmeal. In France, they call it …. Actually, they don’t call it anything at all. Nobody eats oatmeal here, and most French people don’t even know what it is. Quel dommage! (“What a shame!”) Because oatmeal is not only one of the best ways to keep warm in winter, but it’s also a very healthy food. 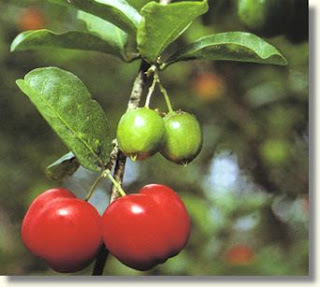 It’s rich in fiber, helps to lower cholesterol, has phytochemicals that help fight heart disease and… well, it tastes really good with maple syrup, brown sugar, honey and/or raisins. 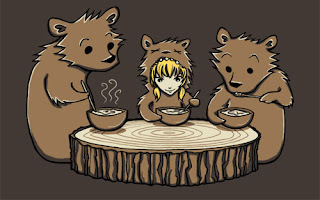 Join the porridge party ! 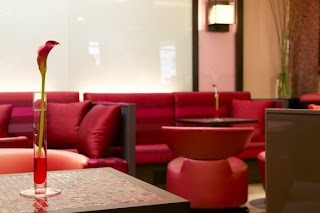 This hidden gem of a boutique hotel in St German-des-pres is unknown to most tourists, but it’s a great left bank spot to crash – whether for a few minutes for just un café in the bar, or for a few nights in the hotel. The Hôtel Bel-Ami, is not only home to the TV shoots of Rebecca Leffler (I’ve filmed shows there almost every other day this Fall), but it also boasts a nice bar/café area, a cute little spa/fitness center, and not too shabby rooms as well. Bring your bel ami to the Bel Ami ! Welcome to Mollywood! 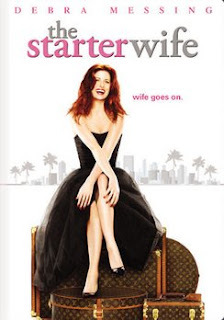 Debra Messing brings “grace” to her role as Hollywood divorcee/Mom/budding writer in this wonderful USA series, now in it’s … well officially first season, but there was a mini-series just last year with pretty much the same cast and storyline. Messing is brilliant – she brings her witty performance savvy from “Will & Grace” and adds more heavy emotion. The show strips Hollywood down to its bare bones for a satirical look at life after divorce in Tinseltown. The supporting cast is fabulous – Hart Bochner is bookworm buff as Molly’s writing teacher/current flame (why did I never have writing teachers that look like him? ), and Judy Davis, Chris Diamantopolous and Danielle Nicolet provide wonderful distractions as Molly’s group of eccentric friends. 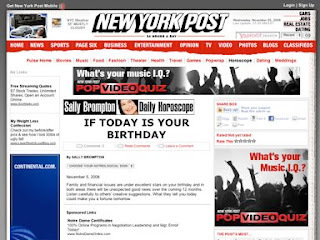 G-d bless the USA…network ! If you live in America, you’re probably thinking ‘Big deal, everything is open on Sunday anyway!’ If you live in France, you’re thinking ‘Holy merde! OPEN? On a SUNDAY? 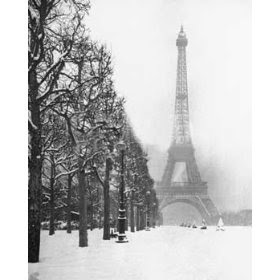 No way, I don’t believe it.’ Oui oui, mes amis, despite the fact that the entire city of Paris (other than, perhaps, some stores and cafes in Le Marais – go Jews!) 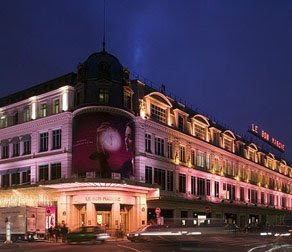 closes on Sundays, le Bon Marche will be opening its doors to local holiday shoppers (and swarms of tourists) on Sundays through the end of December. While I may risk being trampled by Japanese tourists rushing to the Louis Vuitton stand or American tourists rushing to the bread counter in la Grande Epicerie, it’s a small price to pay for such exciting news ! 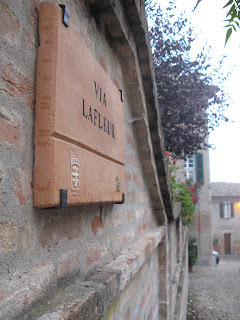 Street of the day: Via LaFleur in Italy !